Stan Lee’s POW! Entertainment and 1821 Comics Romeo and Juliet: The War to debut at New York Comic Con!!! (August 9, 2011) Stan Lee’s POW! 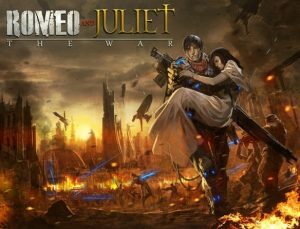 Entertainment and 1821 Comics announced today that they will debut Romeo and Juliet: The War at New York Comic Con 2011. Stan Lee will be on hand to showcase the book and sign special limited edition mini posters promoting the title. Pre-release orders are being taken at the 1821 comic’s booth #1458. Romeo and Juliet: The War will be in stores the end of November as a deluxe 10”x13″ over sized coffee table book available in both hard and soft cover formats. Not able to attend the show and desperate to get a signed Stan Lee Romeo and Juliet: The War collector’s item? Fear not True Believer! Go to www.facebook.com/1821comics and hit the like button for 1821 Comics and you will be entered to win a limited edition Stan Lee signed mini poster of Romeo and Juliet: The War. Want to increase your odds? Go to www.twitter.com/1821comics and follow 1821 Comics. At the end every week leading up to NYCC we will draw the names of some lucky fans who will win this signed collector’s item! This entry was posted on Tuesday, August 9th, 2011 at 4:41 pm	and is filed under Comics, Events, News. You can follow any responses to this entry through the RSS 2.0 feed. You can skip to the end and leave a response. Pinging is currently not allowed. « Check Out Disney’s D23 Expo!! !